The history of the Romans as they advanced the frontiers of Classical civilization is often told as a story of warfare and conquest - the mighty legions encountering the "barbarians." But this only tells one side of the story. Who were the Celts, Goths, Huns, and Persians met by the Romans as they marched north and east? What were the political, military, and social institutions that made Rome so stable, allowing its power to be wielded against these different cultures for nearly three centuries? What role did those institutions themselves play in assimilating barbarian peoples? 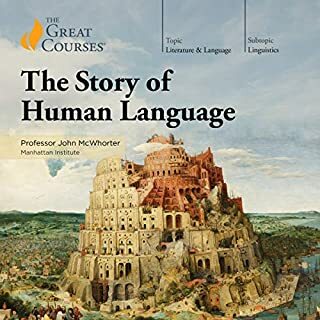 These 36 engaging lectures tell the story of the complex relationship between each of these native peoples and their Roman conquerors as they intermarried, exchanged ideas and mores, and, in the ensuing provincial Roman cultures, formed the basis of Western European civilization. You'll study the institutions that made Rome so extraordinary, as well as the extraordinary figures - both Roman and barbarian - whose names have been familiar to us for so long. You'll learn about Augustus, Constantine I, Diocletian, Gaius Julius Caesar, Nero, Attila the Hun, as well as a myriad of figures whose names are less familiar to us. But these lectures deliver far more than personal snapshots, as compelling as those may be. Professor Harl brings to life the institutions that shaped both Rome and her relationship with, and assimilation of, the barbarians at her constantly expanding frontiers. You'll come away with a new appreciation of how our Western world came to be and detailed knowledge about the individuals from royalty to "barbarian" who played key roles in that process. If you don't know anything about Rome, don't start here. If you do the Roman history and emperors of Rome course first you will get a lot more out of this one. 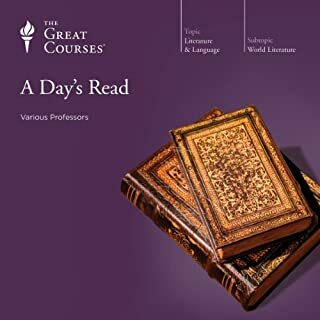 The Teaching Company and the Great Courses offer a number of series that cover the classical era and Rome specifically. 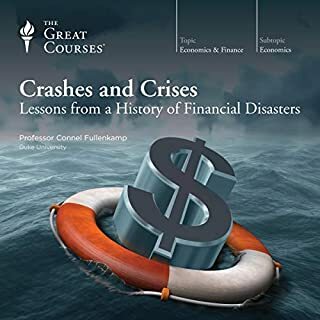 This is the best of those courses that I've listened to. This series concentrates on Rome's relationship to various barbarian people's. 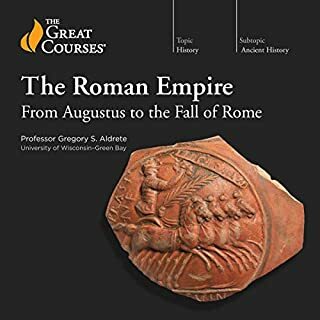 Because Rome's dealings with barbarian people's was so extensive, however, this series of lectures can also be seen as a linear history of Roman political and military influence. From the Battle of Alia in the 4th Century BC, to the Battle of Chalons in the 5th Century AD, Professor Harl describes the various peoples, civilizations, and cultures that Rome encountered in her long history, as well as how those people's and cultures influenced Rome. Professor Harl is a wonderful lecturer. He's entertaining, informative, and the lectures are well organized. My favorite lecturers of history are able to bring historical figures and events to life in a way that written sources and contemporary biographies cannot. Since purchasing this, Professor Harl has become one of those lecturers. 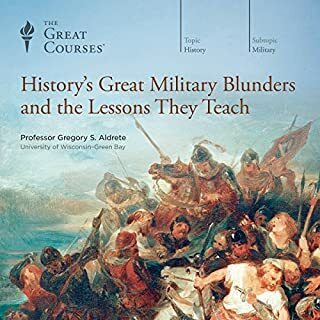 If you enjoy classical history or you are curious about the time period, I highly recommend this lecture series. This is a great course if you are interested in Roman history. 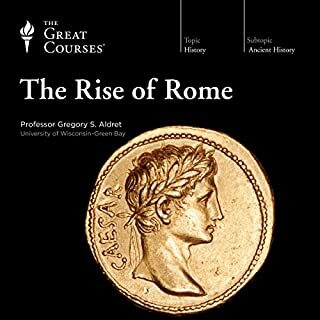 The course really is a history of the Roman empire from inception to its decline and fall told against the background of barbarian invasions and interactions. Professor Harl's discussion of economic and social factors influencing Roman history was wonderful. He is very careful to disclose sensitive issues in historiography and to let the listener know which side of a controversy he is on. Very, very professional. The unbelievable breadth of his knowledge and detailed observations concerning cause and effect in Rome's interaction (and integration) with barbarians. I came feel that I could see the panorama of Roman history and the factors (and internal inconsistencies) that led to its fall. There is a lot here for politicians to learn from. Not that type of book. But I really enjoyed Professor Harl's presentation. Even in 40 hours of Roman history there was never a dull moment (in fact, I was constantly going back to listen again to the details in certain passages). Easy to listen to a 1.25x rather than 1.0. Deserves to be heard again. And again. First, some caveats. I listened to these lectures while working out. But I don’t work out every day. Sometimes I skip a full week. 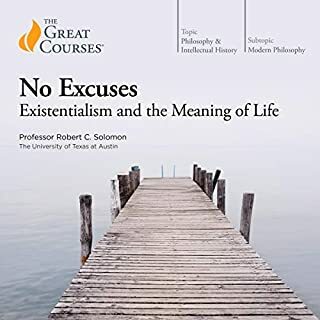 Which isn’t just detrimental to my self-image as a young, virile man-about-town; it also handicaps me somewhat in any assessment of how these lectures hang together as a whole. Even without my dereliction at the treadmill, sizing up these 36 talks would be a tall order. More than twice as long as anything from the Modern Scholar series, it’s easy to forget what was said about the Gauls when you’re up to your neck in Dacians. The best I can do is say that I enjoyed every minute of the 18 hours. First, because I’ve been looking for a professor who exudes the same infectious enthusiasm as Timothy Shutt. Professor Harl obviously knows his stuff and loves sharing it. Second, because there’s a merciful lack of political correctness here. Professor Harl isn’t an ideologue; “Civilize” or “Romanize”, he invites you to use whichever term you prefer. War is understood as constructive as well as destructive—for all the slaughter in Gaul, Julius Caesar also “inadvertently” laid the foundation for French culture. 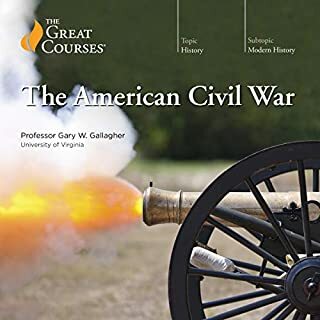 Thirdly, like Professor Shutt, Professor Harl is good at summarizing complex events in handy observations (like his take on Caesar in Gaul) that can serve as guideposts for future reading or listening. Does he get tangled at times? Yes. Does he go off on tangents? Yes. But those faults, such as they are, are symptoms of his overriding enthusiasm. His mind brims over with the stuff he wants to share, and sometimes things get a little confused. I enjoyed it. I think you will, too. Now, on to the good professor’s lectures on Byzantium. This series of lectures is packed with information. Prof. Harl works with a couple of overall interpretive positions (e.g., Rome's interactions with its neighbors was far more than combative) and provides voluminous information in support. This course can be a bit overwhelming in the amount of information provided, but well worth it. For me it will require at least a second listen. History of Rome from the Barbarian's Perspective! This is a great book. I can highly recommend anything written by the author/lecturer Professor Kenneth W. Harl. He is thorough and engaging with any topic. This book is an overview of the History of Rome with a focus on its interactions with the Barbarians outside and inside their empire. He begins with the rise of the concept of the "Barbarian" in Greek culture. He then follows the ever shifting Roman frontier and barbarian groups encountered by the Roman empire, from Italy, to Spain, Africa, Gaul, Britain, Germany, the Balkans, Asia Minor, as well as Persia and the Levant. He not only describes the political and military history between Rome and these peoples, but also analyzes how they interacted with each other. The barbarians were changed and shaped by their encounters with the Romans as the Romans were also in turn changed and shaped by their encounters with the barbarians. The history is also not just one of war, but also of trade, culture, assimilation and differentiation. It is a fascinating overview and well worth the read of anyone interested. 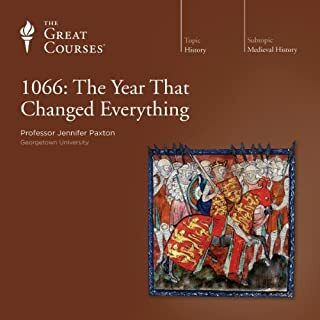 He of course ends in the final portion of his lectures with his analysis of the fall of the western Roman empire and the interesting role the barbarians played in that process. 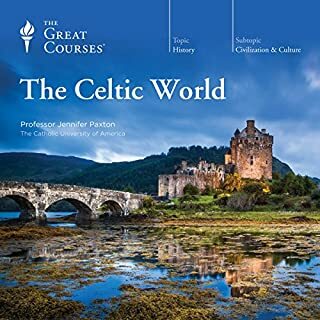 One highlight for me was learning about the mysterious iron age culture of the Celts, who at one time had spread their influence over most of Western and Central Europe, a far greater scope than the cultures of Ireland and Scotland we think of today. For those interested in this topic, I can also highly recommend "The Invasion of Europe by the Barbarians" by John B. Bury. 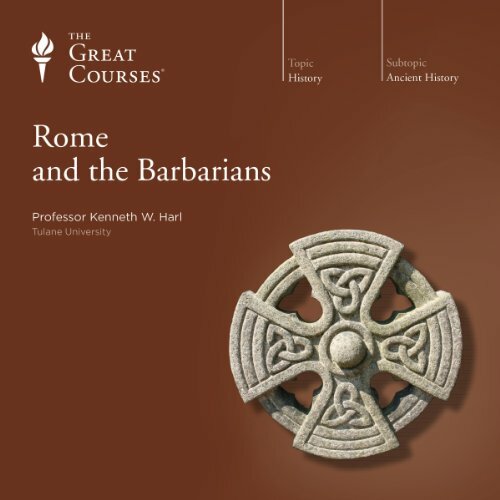 This book is also available on audible, and it does an excellent job covering the barbarian invasions of the later Roman Empire and their cultures. It adds many details not covered in this overview, and will be an excellent complement to this read. I highly recommend this book to anyone interested in the topic. You will enjoy the ride, and learn a lot on the way! I'll listen to all his courses. Top marks. This guy is extremely entertaining and weaves in all sorts of anecdotes and historical "gossip". A lot of fun and full of details. What did you love best about Rome and the Barbarians? Professor Harl simply fantastic as usual! 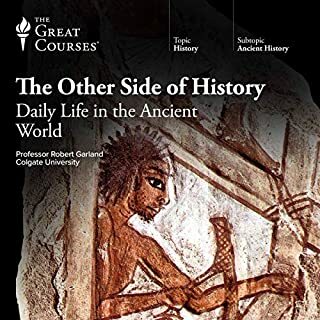 If you enjoyed Professor Harl's lectures on the people of the steppes, and his lectures on the Vikings then you will definitely enjoy these lectures. Great! Well researched, engaging performance and excellent overarching themes. 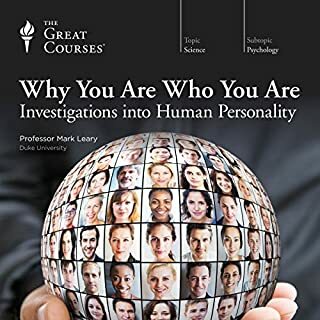 Prof Harl has several other lecture series and this may be his strongest. He hadn't written his lecturers, and was working from notes. This may work in class--it often does and I lecture that way myself--but on the audio book it was a litany of ums, ahs, and back tracking. What character would you cut from Rome and the Barbarians? I'd love to have my money back. I tried very hard for a week, and finally had to give up. £23 down the drain.